Prior to 2017, NSW legislation required privately owned Museums with firearm collections to deactivate their firearms by removing the firing pin (called temporary deactivation), along with maintaining a high standard of security. Most of these Museums are managed and run by volunteers on a not-for-profit basis. In November 2017, the NSW Government rushed through a new Regulation which requires NSW Museums to render their rifles and handguns 'permanently inoperable'. There was no consultation with the Museum's sector, nor was there any advice from the Government to Museums about the new Regulation. No-one knew about it until the past few weeks. Permanent inoperability involves inserting a steel rod down the barrel of the firearm and welding the muzzle and chamber, welding the barrel to the receiver, removing the firing pin and welding the hole, removing all internal springs, welding internal components and welding the bolt, magazine, external hammer and trigger in a fixed position. By doing this, the firearm will be reduced to a metal blob rather than a genuine firearm. The purpose and operation of Museums are vastly different to any other stakeholder possessing firearms. We exist for the community and display a range of artefacts of historical, educational and community value. 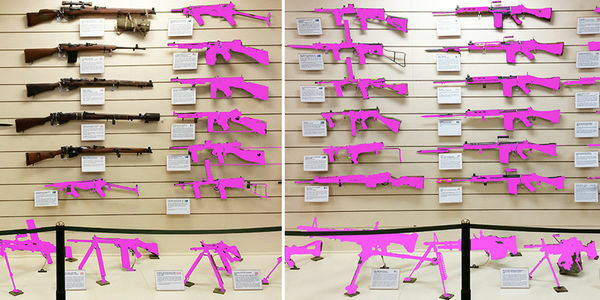 Grouping Museums as part of the overall firearms collective is mistaken and does not reflect the important role that Museums play in this field. Through the new Regulation, the Government is forcing Museums to destroy their valuable and historically significant artefacts. The impact of the new Regulation on the Lithgow Small Arms Factory Museum will be devastating with around 70% of our comprehensive firearms collection irreversibly destroyed. We will lose significant value, considerable patronage and become non-viable. And with this, there will be an unimaginable loss of history, knowledge and community-based volunteering spirit. Moreover, the cultural, scholarly and scientific significance of heritage firearms collections, including our understanding of the technological evolution of such firearms will be seriously compromised. For example, prototypes, first issue and rare firearms will be lost in line with the destruction of our collection. The 9000 annual visitors we have through our doors, the many local and international technical researchers and the ballistics personnel using our facilities for research and/or investigative purposes, and our extensive archives amassed over the past 22 years will all be adversely impacted, and lost forever. Museums and their collections are intrinsic to current and future generations. They are not something that can be manipulated by third parties at their whim for political or other purposes. The underlying solution is quite simple. What is required is banishing the term 'permanently inoperable' to the dustbin and reinstating temporarily inoperable for museum firearms. Further, Museums deserve to be treated differently to other firearm stakeholders in that we preserve, commemorate and showcase historical and educational value for the benefit of the wider community and future generations. Your support to our cause is vital and we reach out to you to join us in letting the NSW Government know precisely how we feel about this Regulation.